120 Volts / 1,500 Watts / 5,118 BTU. Patented Flame technology. Requires no piping or venting. Flame operates with or without heat for year round enjoyment. Dimplex acrylic ice media is a very contemporary alternative to the log set and is visually captivating as well. RV compatible. 1 Yr Manufacturer’s Warranty. 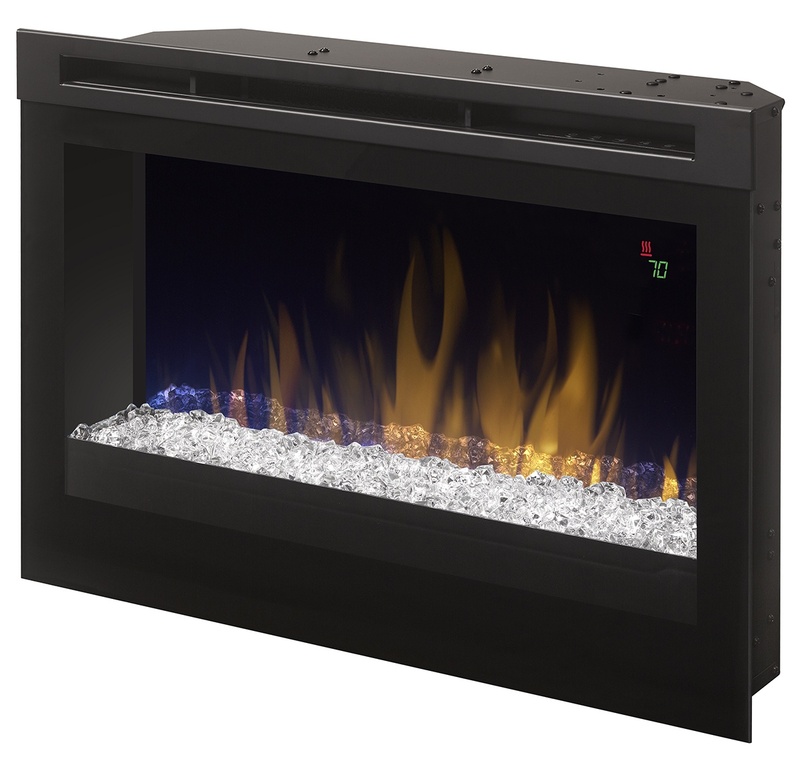 Get back the charm and warmth of your old unused fireplace, with this functional and elegant electric insert. Offering meticulously handcrafted LED inner glow logs along with gently glowing embers that mimic the real thing. Specifically designed to easily fit into many existing wood fireplace openings, this sophisticated electric insert breathes new life into any room without the dangers of open flames, wood or propane.